We were contacted a little while ago to see if we’d like to try an app for the purposes of this review. Read with Fonics was founded by Sophie Cooper, a teacher with many years’ experience in helping children learn to read. The first step of developing this resource was to identify the best way to teach children how to read, to make it simple. Phonics is the way to go! Phonics teaches sounds and works like a code that you learn and then you can read 95% of the English language. You only have to learn 44 sounds which is much less than learning each and every word! As Mary Poppins said, “in every job that must be done, there is an element of fun. You find the fun and SNAP! The job’s a game!” If you enjoy doing something, you spend more time doing it and this is true for reading too. If you enjoy reading, you will do it more and get better at it. I’ve downloaded loads of apps to help James to learn to read. He’s not enjoyed or stuck at any of them, and so when Sophie contacted me, I initially said I wouldn’t be able to review the app. I thought he’d try this one and reject it too, as he’d done the others. But, to play fair, I did download the app, and within the day I was emailing Sophie back and eating my words. James loves this app. The Read with Fonics app is split into four worlds for children to explore — water world, forest world, lava land and jelly city. 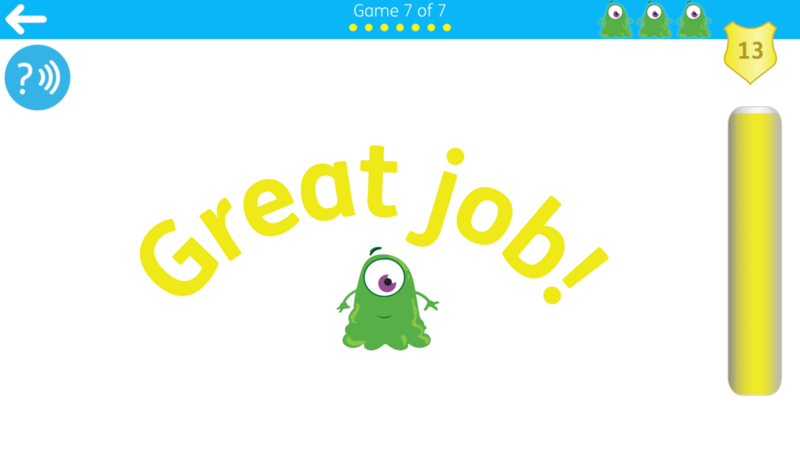 In the game, you are supported by a character called Albee the Alien and he’s always there celebrating correct answers and providing encouragement. He makes some lovely noises when he eats letters, and looks sad when James doesn’t get it quite right. In another app we tried, the noise the character made when you get it wrong is so funny that James would rather not get it right so he can giggle. In the Read with Fonics app you start at 0 and gain points for each correct answer and improve your level as you go along and add points to your score. This is called positive scoring unlike being measured out of 100% and how far off the perfect score you are. The games get progressively harder each time but teach kids all the phonics sounds in a fun and interactive way. There are 116 phonics games to play that teaches you how to read over 1,200 words. You can play on a computer, too, and it’s good to teach hand-to-eye coordination using a mouse or trackpad, so we like to mix it up a bit occasionally using the Read with Fonics website. One thing we have noticed is that between the screens it doesn’t quite move quickly enough. For example, when you’ve collected all the letter a by pressing on them, it doesn’t move to the next screen immediately. It’s just long enough to sow doubt in James’ mind that he didn’t get them all. Something else he’s commented on is that the letters don’t have flicks – he’s learning cursive at preschool and he really goes for those flicks in a big way! It’s a well-designed game that is visually appealing and fun for little ones. It is free from adverts, and you can play it offline, which are both important aspects for me when choosing apps for my kids. Another thing that I love is that you can use the app in school classrooms too. If you’re a school, you can apply here for a free schools Read with Fonics account. Over 2,000 schools worldwide already use it. 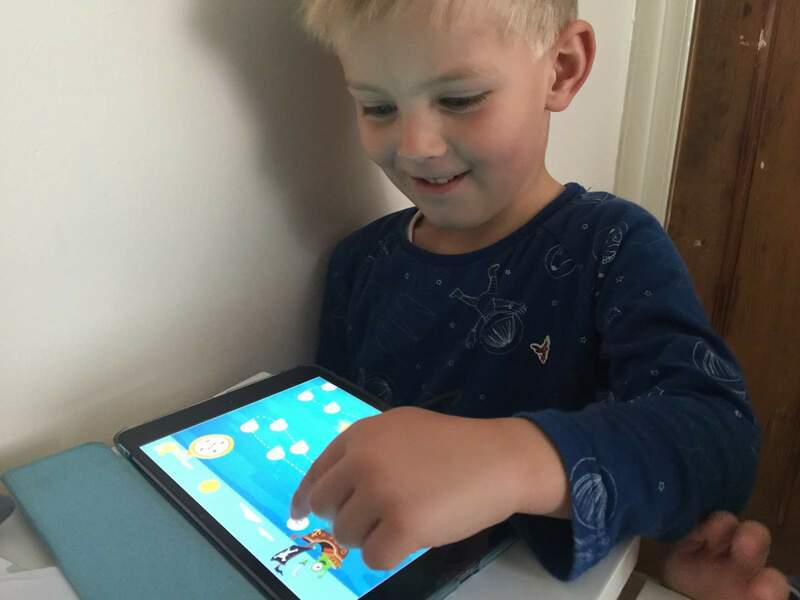 You can download the app for free, and there a few levels to be played without unlocking it further, so you can see if your child would like it. Then the normal price for the app is just £7.99 for all stages as a one off payment — you can use the app forever, so this will last for both my children.